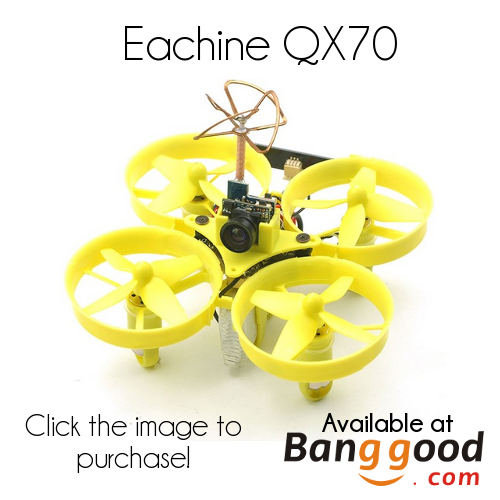 The Eachine QX70 is a bind and fly mini quadcopter, touted as a cheaper Tiny Whoop competitor to the Blade Inductrix. At an affordable ~$60 price point, the QX70 seems like the perfect budget clone of the Inductrix; ready to race without having to buy a whole bunch of added parts. Let’s address the elephant in the room first. Out of the box, the performance of the QX70 is questionable. Browse through multiple reviews, and you will see the same problems pop up. Weak thrust, loss of altitude when yawing, and sluggish handling are a few of the issues experienced by multiple pilots. However, with a few modifications, the QX70 is a blast to fly and a true Inductrix competitor. 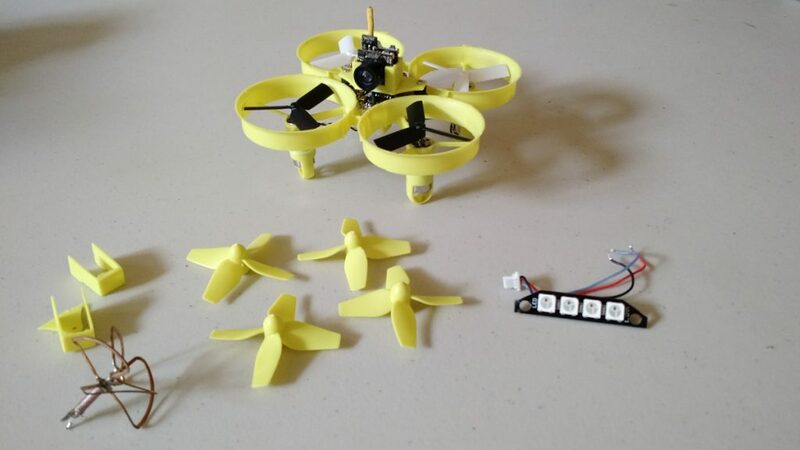 We’ll first talk about the stock quadcopter and then dive into the modifications we made to create a fantastic Tiny Whoop. Trust us, you will be surprised just how much your perception of the QX70 will change after seeing these mods. Let’s get into it! In the box: everything that comes with the QX70! Out of the box! What you can expect with your QX70. I was thoroughly impressed with how easy the QX70 was to setup. The instructions were very clear, and included pictures throughout the entire process for each receiver type. The software is already preconfigured, so you can bind and fly easily. A full color, easy to understand manual? Awesome! To quickly summarize the basic setup: create a new model on your radio, remove the camera mount on the QX70, enter binding mode on your radio, and finally press the bind button on the QX70 flight controller and power it up. You will then have to go into the mixer and assign the correct switch to arm the quad. Obviously, this can be changed in software as needed, but it’s great that they made it easy to bind and fly without any initial software setup required. 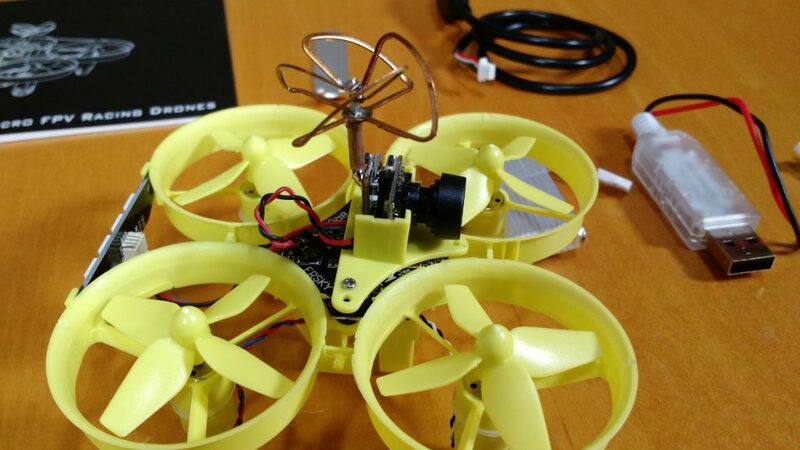 The QX70 F3 flight controller is compatible with both Betaflight and Cleanflight. Cleanflight 1.13.0 comes installed by default. Well, as expected, the QX70 isn’t exactly a graceful craft out of the box. I read pretty much every review I could find before we got the QX70, so I knew what to expect the first time I armed it. As we mentioned in the beginning of the article, flight performance was lackluster. Weak thrust, loss of altitude when yawing, and sluggish handling were found exactly as expected. 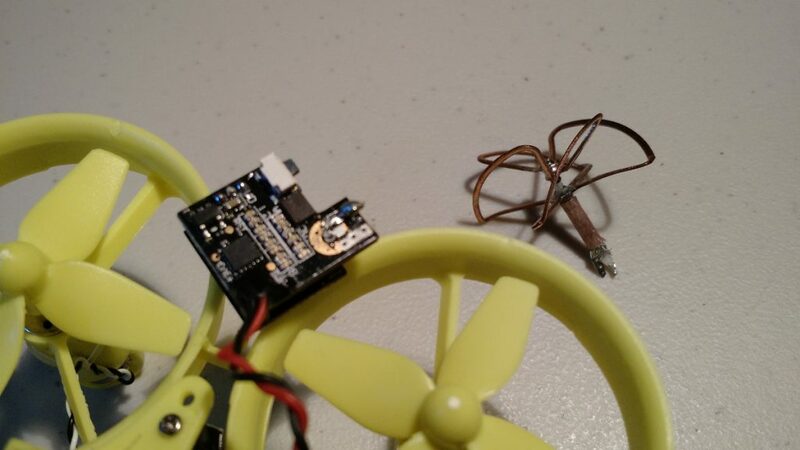 The QX70 certainly flew, but not nearly as well as the hallowed Blade Inductrix. The stock QX70 certainly isn’t winning any races on the Tiny Whoop circuit. Furthermore, I severely underestimated the structural integrity of the stock antenna. The bulky clover antenna was the first casualty after a particularly bad crash. The antenna bent completely backwards and stripped away quite a bit of solder from the camera. At this point I decided I was done with the stock version. Further flying in this setup would cause needless damage before I could turn it into a true beast. I already knew that the QX70 needed modifications, and had prepared a list of upgrades! So, before you completely disregard the QX70, check out our modifications below. The results will surprise you! 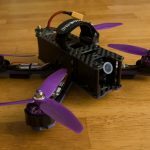 QX70 modifications: making the QX70 fly like a true Tiny Whoop! Alright, so let’s go to the bench and make a few modifications. You will need a few tools and odds and ends to complete these upgrades, but you likely already have most of the items in your toolbox. 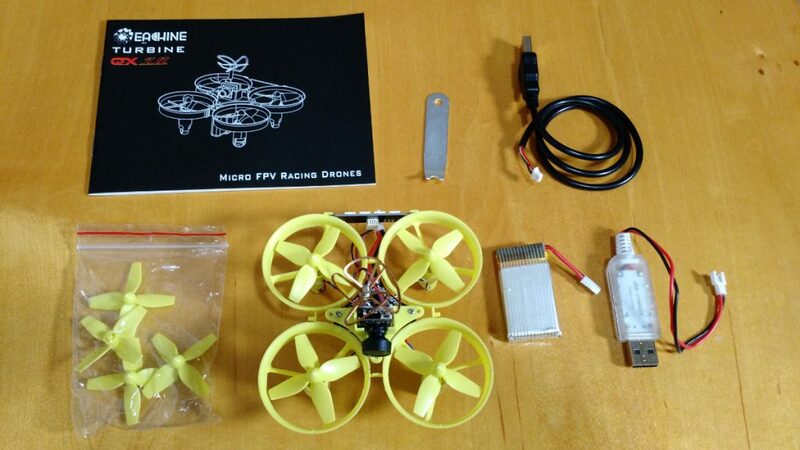 The only component you likely won’t have are the tri-bladed props we recommend using. 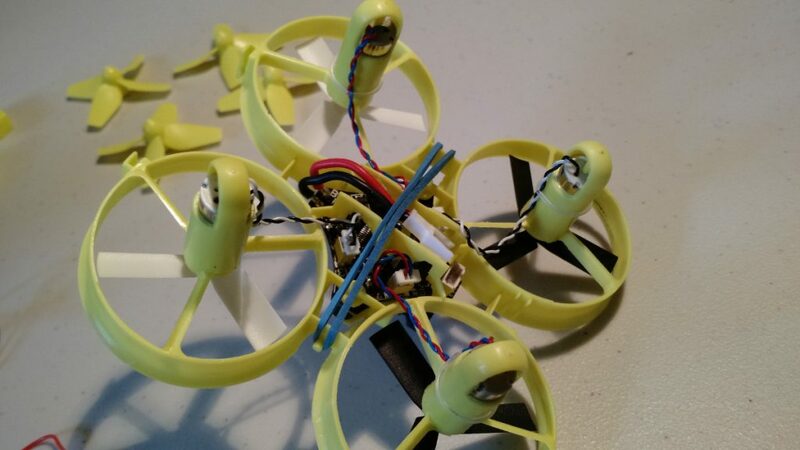 If you are going to buy a QX70, you MUST buy a pack of tri-bladed props. The stock QX70 props are the biggest issue with the quad, and must be replaced to realize the full potential of this platform. 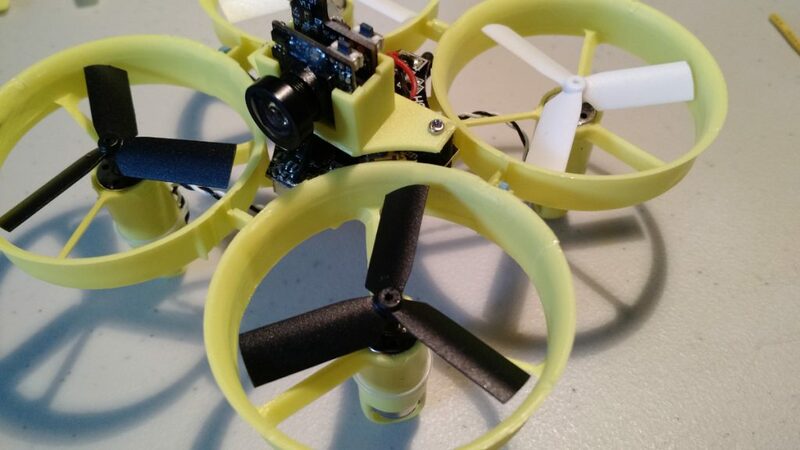 Otherwise, as long as you have the basic tools for building and repairing a quadcopter, you should be able to make all of the below mods very quickly. If you want to really get the most out of your QX70 you MUST perform the propeller mod. If you do not, you will experience subpar performance and generally be disappointed in the product. Unfortunately, the stock four bladed props are just too heavy to generate enough thrust to perform agile maneuvers. You need to buy these tri-blade props and mod them slightly to fit onto the QX70. What do I mean by mod them slightly? Well, these tri-blade props are going to be too large to fit into the ducts of the QX70. To fix this, we will cut them to size using a set of nail clippers and use calipers to measure out where to cut. We want each blade to measure 19mm. Now you can obviously use a ruler or other measurement tool, but we found calipers to be the easiest way to do this. Measure 19mm, and carve an indentation into the edge of the prop. 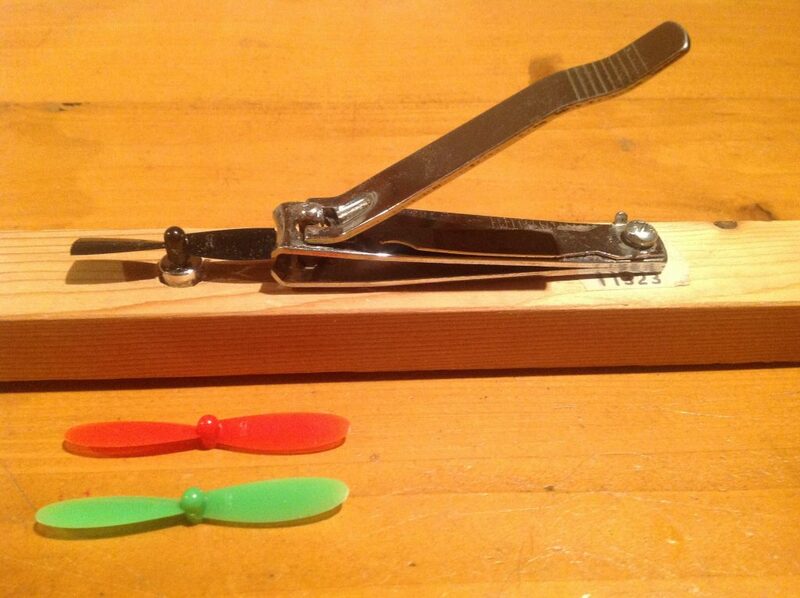 Your goal is to make a small semicircle you can use to line up your nail clippers! 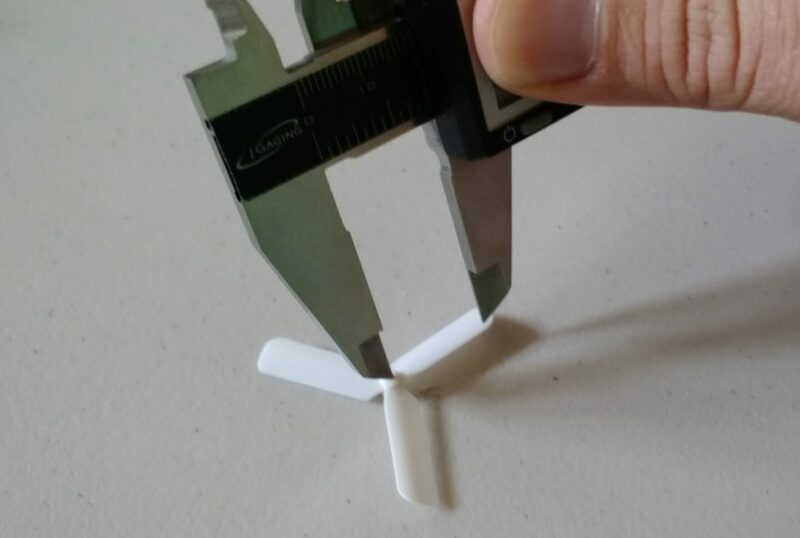 Set your calipers to 19mm, put one end in the hole in the center of the prop, and use the other end to mark the location of where to cut. If you do this right, you will make a small semi-circle indentation on each blade. Cut at these marks. A tool I never expected to use in this hobby. Cut along the marked line you made with your calipers! 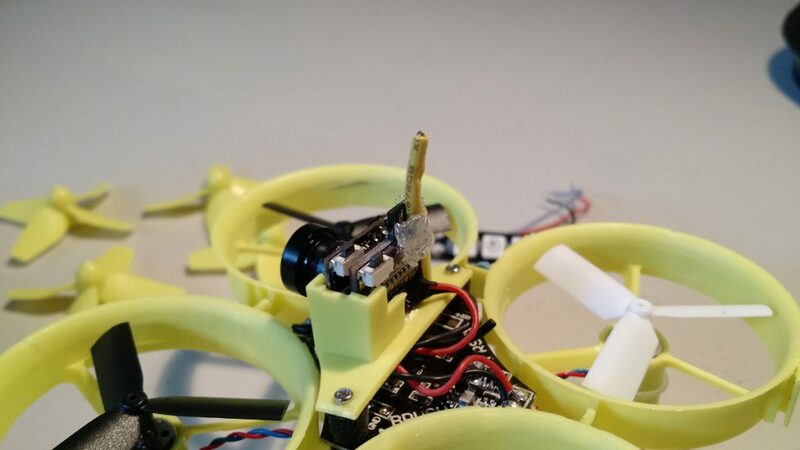 When mounting the tri-blade props, be careful not to push down too far on the motor shaft. 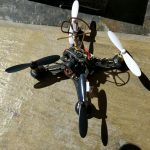 You want the props to freely spin, and if you push too far the quad won’t fly correctly. If you notice that they are not spinning freely, or the quad sounds odd when armed, try to push the props up a bit with the prop removal tool that came with the QX70. Similarly, if you notice that they are hitting the ducting (listen for a sound similar to a card flipping through bike spokes) try to clip away a little bit more off the edge of the prop. Alternatively, you can make a prop cutting station! Photo credit to Piedro on RCGroups! Replace the props one at a time to match the ordering. For reference, the “A” props are clockwise and the “B” props are counter clockwise. The stock antenna is bulky, adds too much weight, and doesn’t offer much benefit over using a simple wire antenna. After all, most QX70 pilots are just going to be flying around the house in level mode – the multipath and polarity benefits of circularly polarized antennas will not likely be realized here. Also, as mentioned above, my antenna got ripped off during my first major crash anyways. Removing the stock antenna should be pretty easy. Heat the solder on the board and pull the antenna away. Cut a wire to size (a quarter wavelength whip for 5.8GHz is 12.93mm) and solder it to the center (positive) terminal where the original antenna was connected. 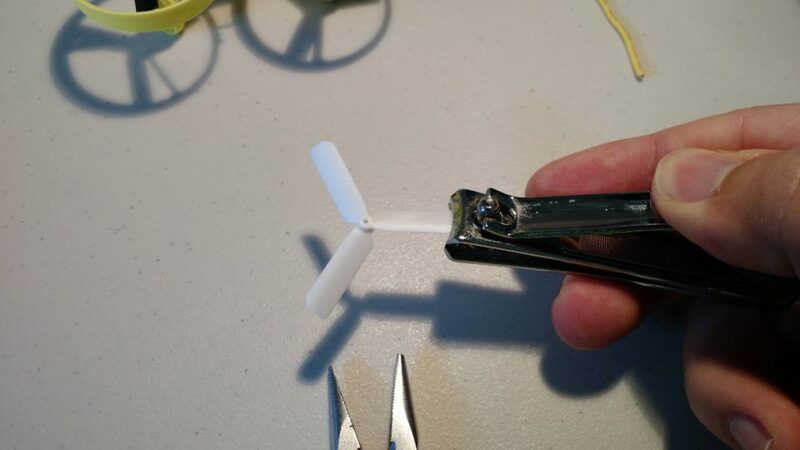 After soldering, you can use hot glue if desired to better protect the antenna from tearing. Antenna mod + glob of hot glue to hold everything in place! In this step we are going to trim away plastic and remove unnecessary components to get the weight down. To make this process easier, use a small Philips head screwdriver to remove the plastic camera mount. Move the camera and plastic out of the way. First, let’s remove the LED bar. With the camera removed, desolder the LED cables from the flight controller. Pull down on the LED bar to remove it from the frame. A turn signal is cool, but you will never have anyone behind you in a race to see it if you have this extra weight! Next, we are going to trim away all the unnecessary plastic. Let’s start with the battery cage. I hated how the battery was mounted, as I wanted the battery to sit flat against the bottom of the flight controller. To fix this, clip away the battery cage as close as you can along the straight plastic piece in the middle. Your aim here is to make a flat platform for the battery to sit on. Once clipped, you can use sandpaper to sand down any plastic burs. Obviously be careful not to accidentally clip any of the motor wires! Aim to get the center platform as smooth as possible – this is where we will place our battery! Finally, clip away the excess plastic on the front of the camera mount. As you can see, while there is a screw hole in the plastic, there is nowhere to screw it onto the board! 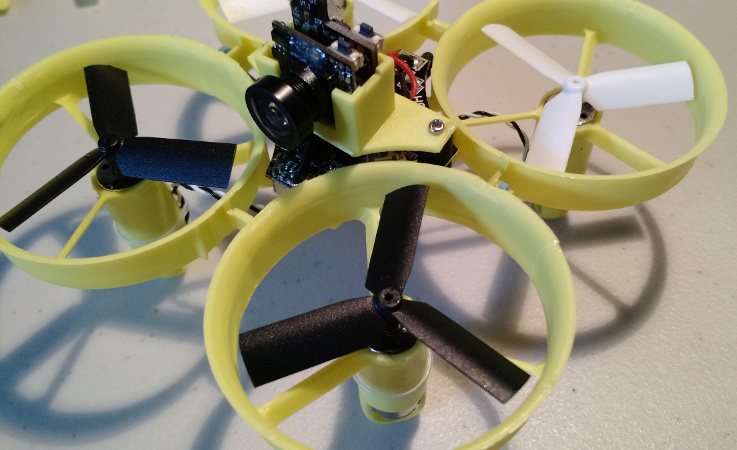 Reattach the camera mount when complete, with the camera facing the front of the flight controller (use the arrow on the flight controller or the rear LED mounts for reference if needed). Finally, string a rubber band under the flight controller between the two nubs on the edge of the frame at both sides of the camera. This will be your new battery mount! Look at all that dead weight removed! The changes in flight are night and day after modding the QX70. The flight controls are responsive, the punch out is way better, and the yaw dip has mostly disappeared! I am disappointed that mods are required to get the QX70 to fly well, however the end result is absolutely worth it. Plus, with our experience with the QX90 I guess I shouldn’t have been surprised. After researching all the different mods people recommended, the actual process took less than an hour. When modded, the QX70 flies with a little more pep than the stock camera Inductrix. The ducts also seem to take more of a beating. As you can see from a few pictures in this article, I split the ducts on one crash, but was able to repair them easily with a bit of super glue. Since then, I’ve been bouncing off walls without a scratch. I also have yet to break or damage one of my modded props. After testing throughout multiple stages of the build, I have to say that the props seem to be the main issue. The stock props look cool, but they are just too heavy to generate enough thrust for the QX70. 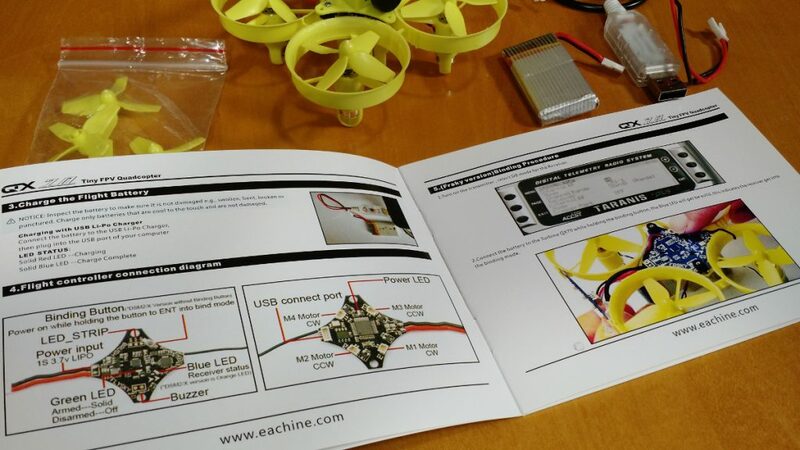 Eachine at minimum should replace the props from the stock package, or offer lightweight tri-bladed props sized for the QX70’s ducts. Overall, I am very pleased with the QX70 and would recommend this quad to any hobbyist who doesn’t mind making a few mods. Since you would likely need to repair the quad at some point due to the aftermath of a bad crash, the mods required aren’t really that difficult. However, I wish this quad worked great out of the box, as I would easily recommend it to beginners over the Hubsan X4 as a jumping off point for people interested in the hobby. That said, post mod, it is a great flier and perfect for some Tiny Whoop racing! Should you buy a QX70? It honestly depends on the use case. 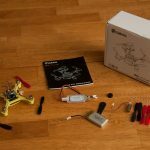 If you are looking for a bind and fly quadcopter that works great out of the box, I would recommend looking elsewhere. The QX90 is a solid contender for a ready to fly quad that works straight away. However, if you are comfortable making a few easy modifications and adding a set of props to your order, I think the QX70 is a fantastic little quad. With the prop and weight reduction mods, it’s an agile platform that is easy to repair and can take quite a beating. Furthermore, the QX70 is affordable compared to other mini camera quadcopters on the market. 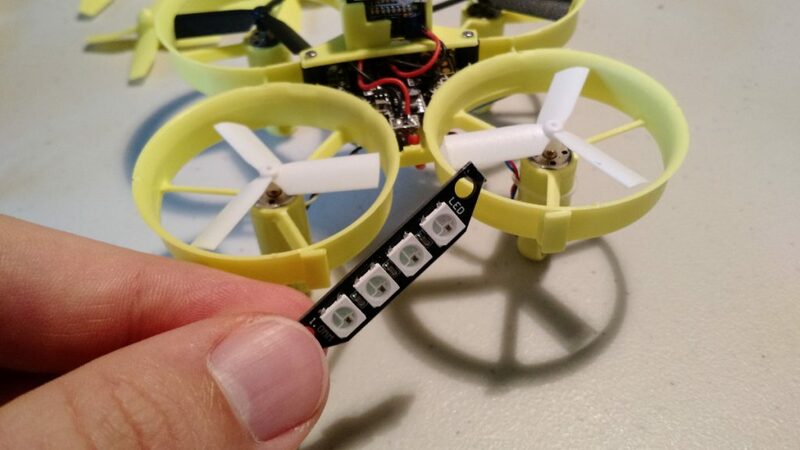 It easily beats out the Blade Inductrix on price ($99+ for BNF camera Inductrix, $50 + parts and camera for the standard Inductrix model), and requires significantly less modification than creating a comparable Tiny Whoop modded E010. While it doesn’t have the punch of the QX90, the ducted QX70 fits nicely in the indoor Tiny Whoop segment at a ~$60 price point. After all our mods, the original looks so foreign! So, at this price point, it really becomes a battle between the QX70 and QX90. 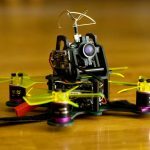 After flying both, I would say if you are looking for a small form factor ducted quad (akin to the classic Tiny Whoop or stock Hubsan X4), the QX70 is a safe bet. If you are looking for a micro quad that has a bit more punch and can be flown outdoors relatively well, the QX90 will outperform the QX70. Conversely, if you want to hit small gates and gaps, the smaller frame of the QX70 is the way to go. Think of it this way: the QX70 is a great indoor quad built to hit small gaps and race gates. On the other hand, the QX90 is a more powerful micro quad with a larger frame that can be flown both indoors and outdoors. The team over at Half Chrome put together a great comparison of the two if you are looking for additional info! It’s a bummer that the QX70 isn’t perfect out of the box, however don’t let that dissuade you from considering this micro quad. 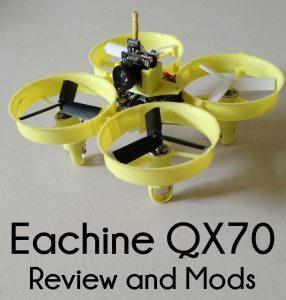 If you are looking for an indoor Blade Inductrix style quad at a great price, and don’t mind getting your hands dirty with a few mods, I think the QX70 is a solid choice. Interested in buying one? Click here to go to Banggood and get one of your own! 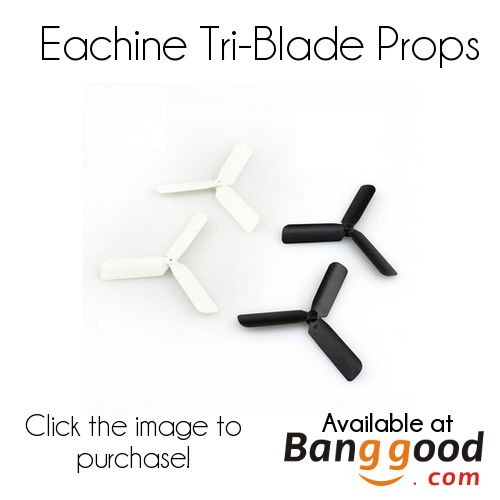 If you do, don’t forget to add some tri-blade props to your order!